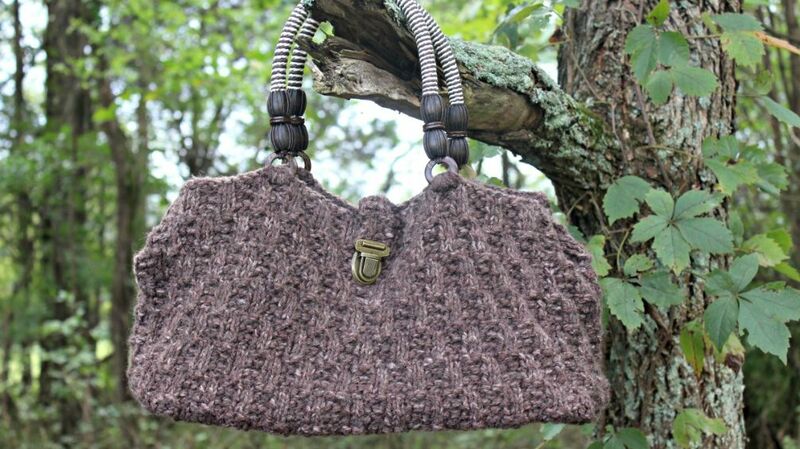 Oat Stitch Handbag - Free Knitting Pattern - love. life. yarn. We have finally started having fall weather!! I’ve been in the fall mood just because it’s October, but our weather has certainly not caught up until now. We were in the 90’s at the beginning of the month and then the 80’s until finally a cold front moved through and we are sitting in the upper 60’s, which feels heavenly. Now that the nights and mornings are chilly I’ve really been in the knitting and crocheting mood and decided to release this pattern for all my knitting friends. I know most of my patterns here are crochet (sorry, I’m a terribly slow knitter) but every now and then I do like to knit as well. I just crochet so much faster! We are on fall break together as a family and it has been so much fun just hanging out with all of my boys (hubs plus the four littles). The older boys and my hubby even spent the night in our pop up camper last night! They thought it was amazingly fun and it was really convenient to bring the baby in (plus the three-year-old when he wanted to be in his own bed!). Such great memories and we didn’t even have to leave home! The pop up was a gift from my parents and we have been renovating it as a labor of love for us all to make memories in. I can’t wait for more adventures! 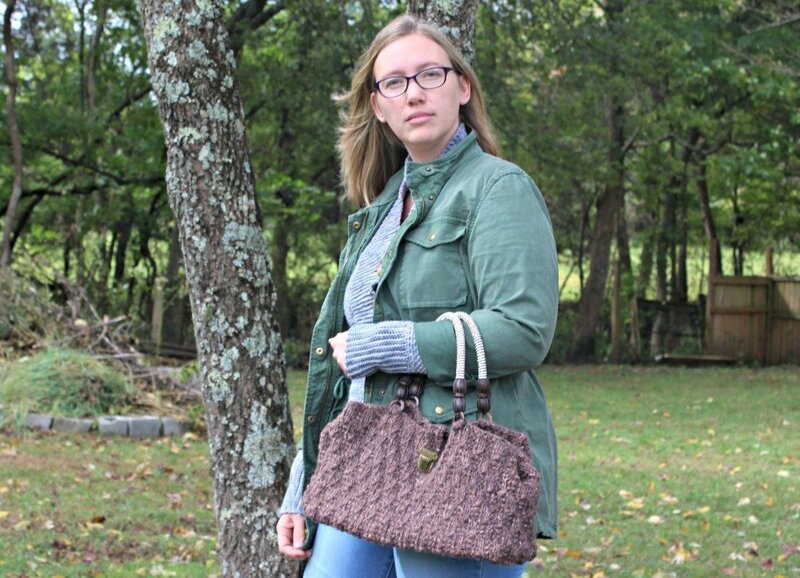 Speaking of adventures, here’s a little project you can whip up pretty quickly thanks to the chunky Lion Brand Wool Ease Tonal yarn. 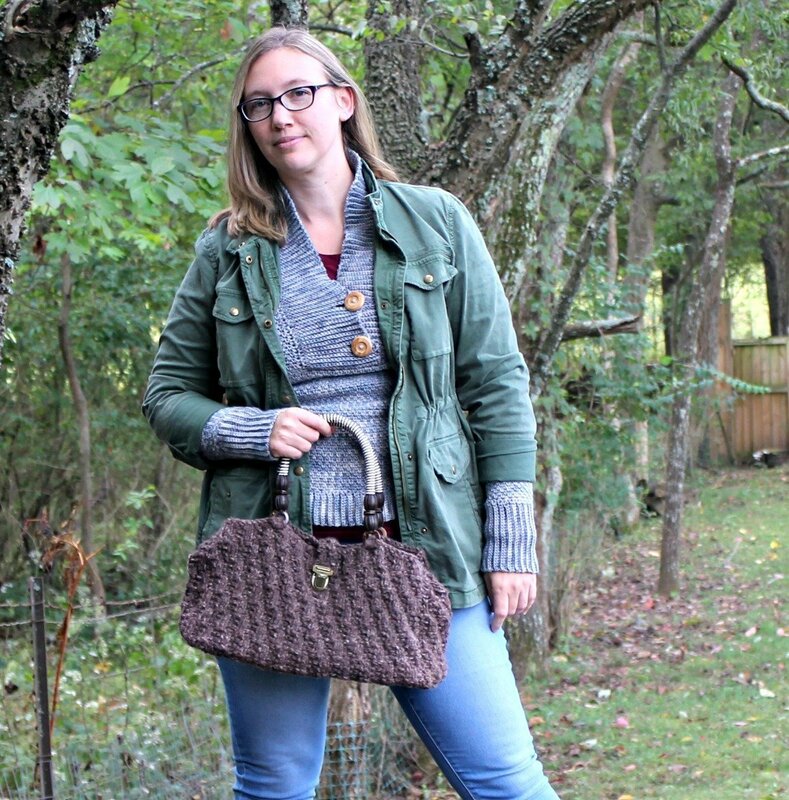 This project works up fast – even for a slow knitter like myself! Plus the Oat Stitch is an easy pattern repeat that you can memorize and then work on while binge watching your favorite show. Add in some nice handles and a press lock and you have a professional-looking bag ready to go! Kfb – k into back and front of st.
Row 1: P2, *kfb twice, p2; rep from * to end. Row 2: K2, *p2tog twice, k2; rep from * to end. Row 7: Kfb twice, *p2, kfb twice; rep from * to end. Row 8: P2tog twice, *k2, p2tog twice; rep from * to end. Rows 9-10: Rep Rows 7-8. Rep Rows 1-12 three times more for a total of 48 rows. Work Rows 1-12 of Front and Back for 168 rows. Row 1: P2, kfb twice. Row 2: K2, p2tog twice. Rows 3-4: Rep Rows 1-2. Rows 5-6: Rep Rows 1-2. Row 7: Kfb twice, p2. Row 8: P2tog twice, k2. Rows 11-12: Rep Rows 7-8. Sew side panel to Front and Back. Sew handles in place using picture as guide. Sew closure strap in place using picture as guide. Install press lock following instructions on package. If you would like a solid base, cut craft stabilizer or cardboard to fit in bottom. Tack in place (I used needle and thread to sew craft stabilizer in). You can also add a fabric lining if you wish! That’s it! 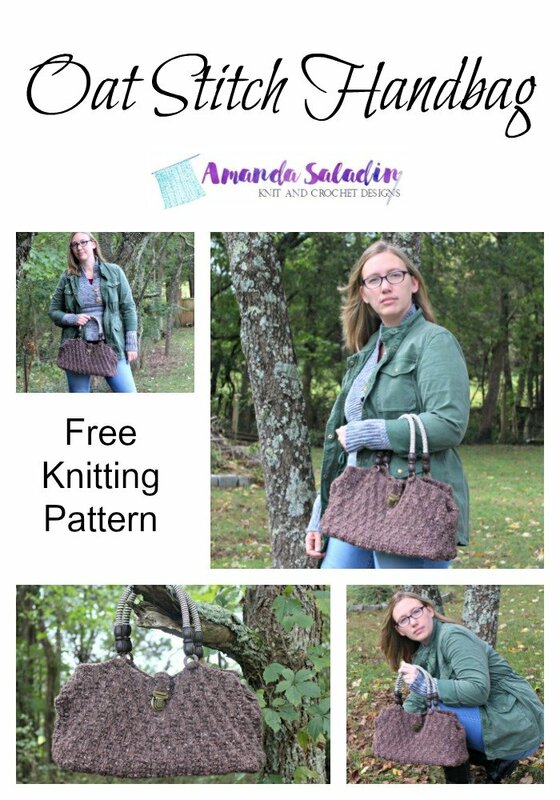 I hope you’ve enjoyed this free knitting pattern – be sure to check out my library of other free knitting patterns, too! 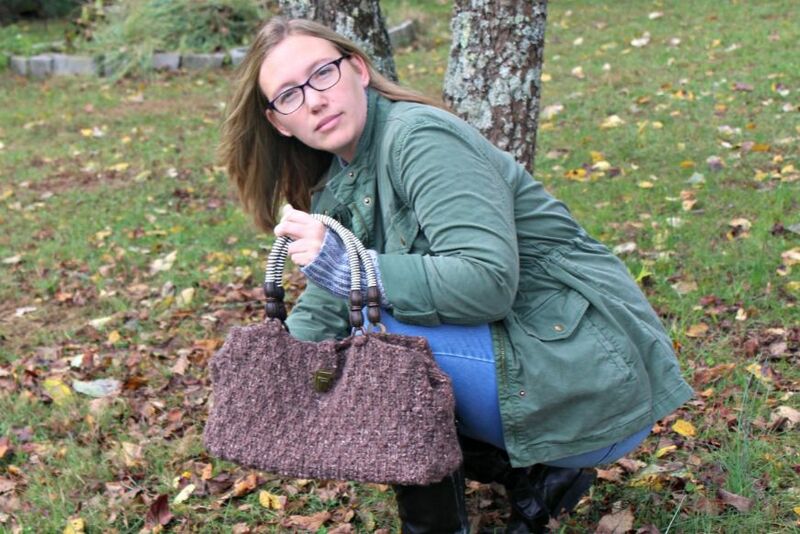 Which yarn is being used to create this bag? Lion brand makes several yarns that have the word “tonal” in them, but none with just that word as the name of the yarn.